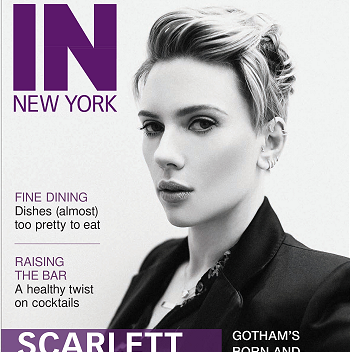 Teaming up with Esquire’s “World’s Sexiest Woman,” SodaStream unveiled Scarlett Johansson as its First-Ever Global Brand Ambassador at Gramercy Park, New York City. The “Avengers” beauty made her appearance at the event in a stunning designer dress, featuring a tight black, long-sleeve top and a patterned black and white skirt with black heels. Scarlett’s career has been going great lately… So why more stupid sell-out commercials?! We are going to buy a soda stream, as are several of our friends. Keep up the good work! Bravo!! You not only have class, but the guts, the fortitude and the integrity to stand up to the BDS movement with your decision to represent SodaStream. Good for you and good for this company which employs both Israelis and Palestinians. Other celebrities could learn something from you.